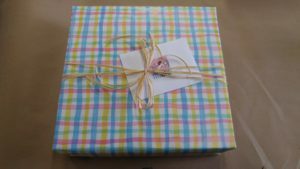 Special Customer Gift Fulfillment Project! 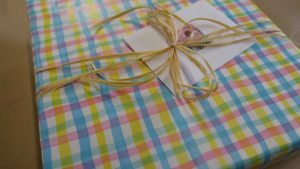 When the folks at Culligan wanted to welcome their colleague’s new baby, they came to Positive Impact for creative baby gift ideas. 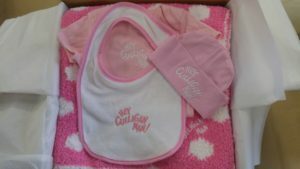 We put together a gift package including customized goodies: a baby bib, pink onesie, chenille blanket, and baby cap. All wrapped up in pastel paper and raffia, the branded gifts were the perfect way to say hello to the newest addition to the Culligan family. Coordinating, packaging, and shipping projects like this one is another way Positive Impact provides top-of-the-line customer service to our clients who feel like an extension of our own family. 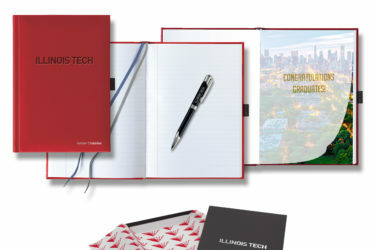 Custom Journals & Notebooks…cost effective and pack a lot of punch!